Aw what a cutie 🙂 You're so blessed to have such a lovely little man! 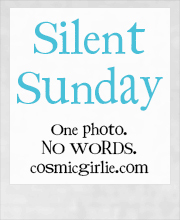 I've been inspired by you Stacey & have started my own #SilentSunday series. Most of it will be made up of myself & the animals though haha! – My first was with my friends Chihuahua pup!